Earn up to 990 Points. 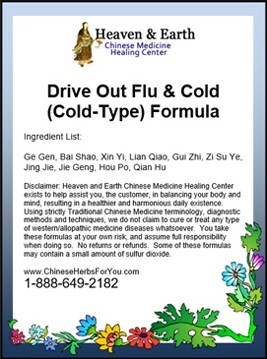 Our Heaven & Earth CMHC Drive Out Flu & Cold (Cold-Type) Formula is based on a Traditional Chinese Herbal Medicine formulation known as Ge Gen Tang. 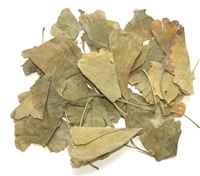 Because of its great reputation for a quick resolution of a cold or flu, Ge Gen Tang is a most popular Chinese Herbal Remedy in Asia. This Chinese Medicine Pattern is defined as Wind-Cold, which should not be confused with a Wind-Heat a pattern that will present itself with: yellow or green phlegm, sore throat, fever, profuse sweating, red eyes, and headache. If this sounds like your typical type of cold when you get sick, please have this incredible Chinese Herbal Formula on hand in case you start to feel crummy and need to ‘drive out the cold’ right away! This is the best way to prepare for yourself. 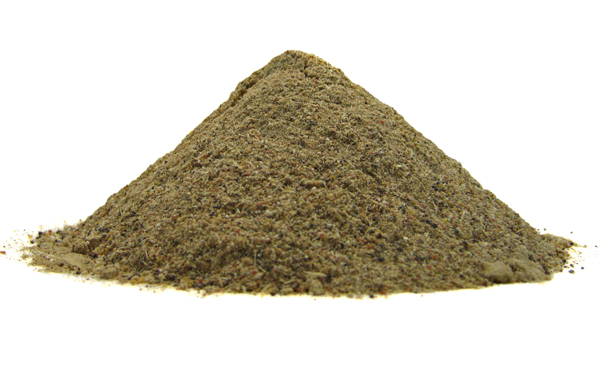 Powdered: Our formulas are made to order and then carefully ground into a fine powder. You can then make a draft out of the powder, in which you either steep with hot water or boil the powder with water, to make a tea (and yes, you can drink the dregs). Please see: Powder Dosage & Cooking Instructions. You can also add the powder to food–like a smoothie or encapsulate the powder yourself, if so desired. Capsuled: The formula is made to order and then carefully ground into a fine powder and encapsulated into vegetarian capsules for you. This is a very popular option especially when convenience is important. 25, 100, 200 or 300, 400 & 1,200 capsule options are available. 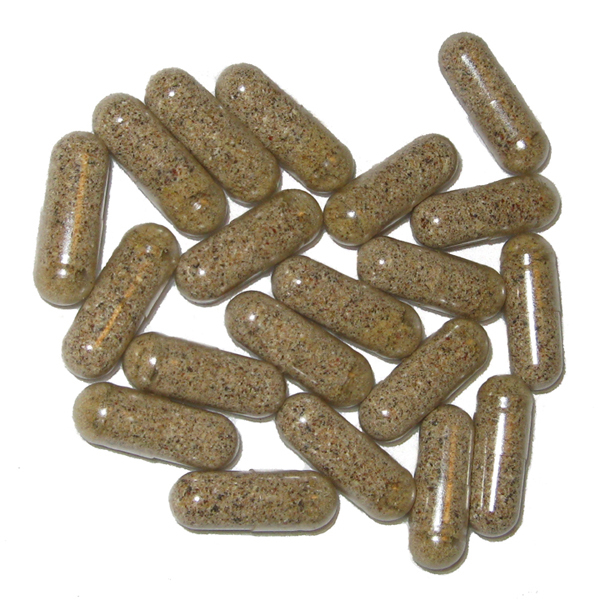 Standard Capsule Dosage: 1-3 capsules, 3 times per day. This is a general guideline for capsule dosages. Higher or lower dosages may be appropriate for your exact requirements.